After you’ve tried homemade pasta, you’ll never want to eat store-bought version again. 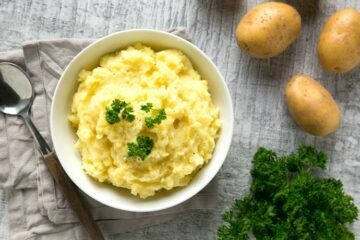 It’s so much tastier, that brings a simple main to a brand new level! 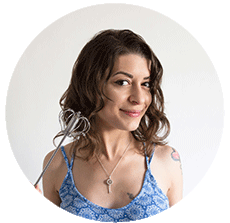 Making fresh pasta requires very little effort; it’s one of the simplest and basic dough you will find in your culinary journey. You only need 2 ingredients and good hands, but make sure you choose free-range eggs and good quality flour for the best result. Once you have mastered the basics, get creative and add your personal touch! 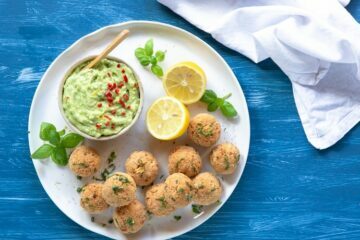 You can play with flavors and colors, by mixing into the pasta dough veggies or spices, like spinach, curry, saffron, carrots… sky is the limit! Start by sifting the flour on a clean work surface and create a mound with a crater in the center. 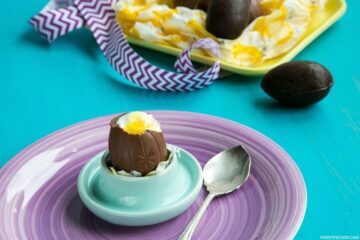 Now, crack one egg at a time into the center, and carefully whisk them. 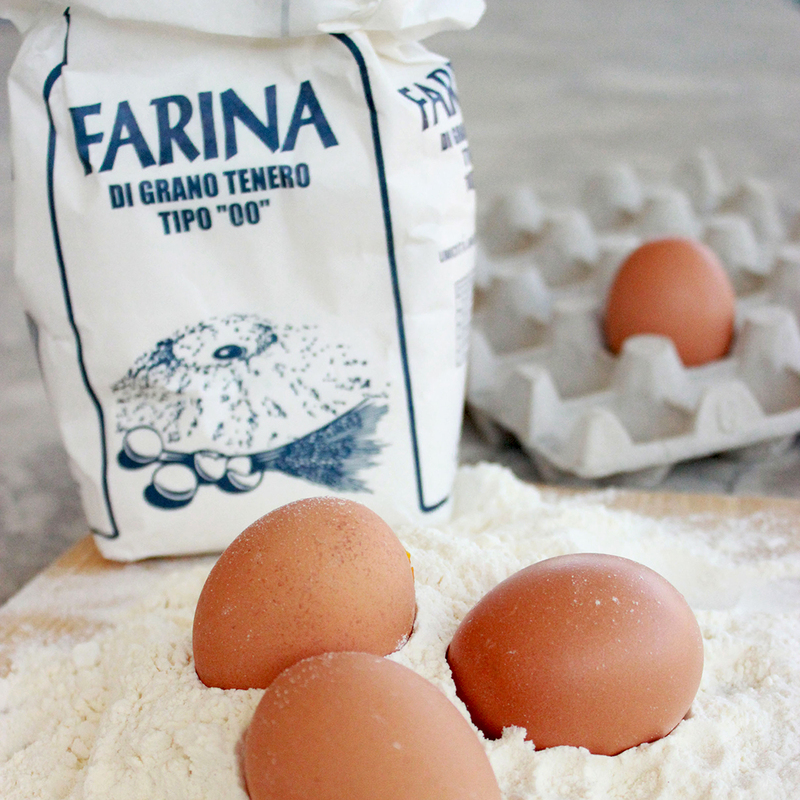 With the help of your fingers, gradually draw the flour from the edges into the center, mixing it with the eggs. The dough will be a bit hard to knead at the beginning, but after a couple of minutes it will come together. If the pasta dough is a little sticky, just slightly dust it with flour and knead until soft. 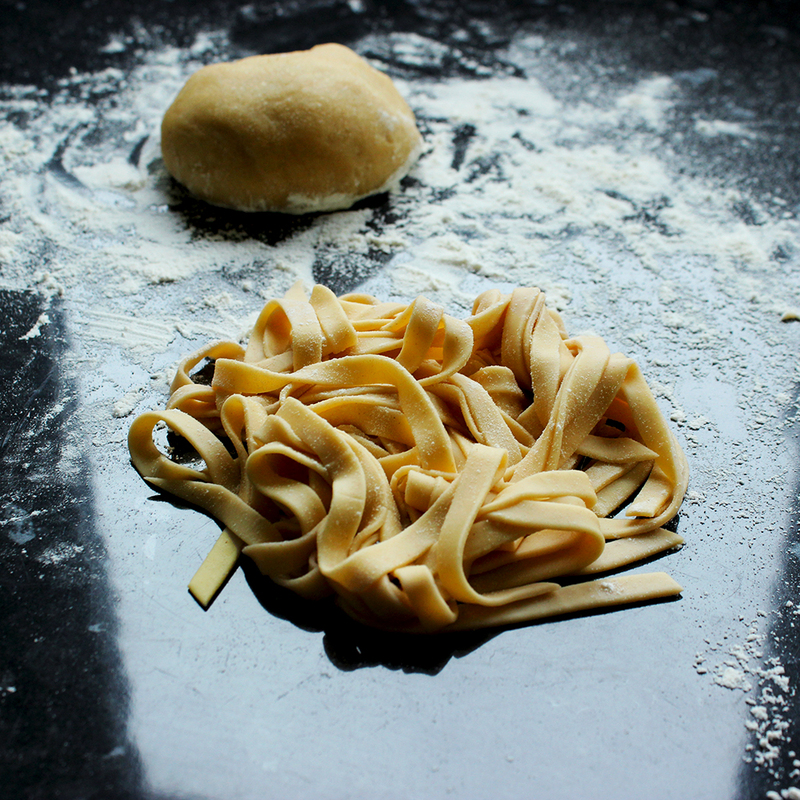 Wrap your pasta dough and let it rest at room temperature for 20- 30 mins; don’t let it sit overnight, it turns into a nasty grey color, so it’s best if you make pasta the day you want to use it. After resting, the pasta dough is ready to be rolled out. If you’re a pasta lover, a pasta maker is a good and worth investment, and it can be useful in to make different kind of pasta, ravioli, lasagne. If you don’t have it, no worries, just use a rolling pin. I warn you It can be challenging though, because you need to roll out the dough very thinly, but with some time and attitude you’ll have the same results. 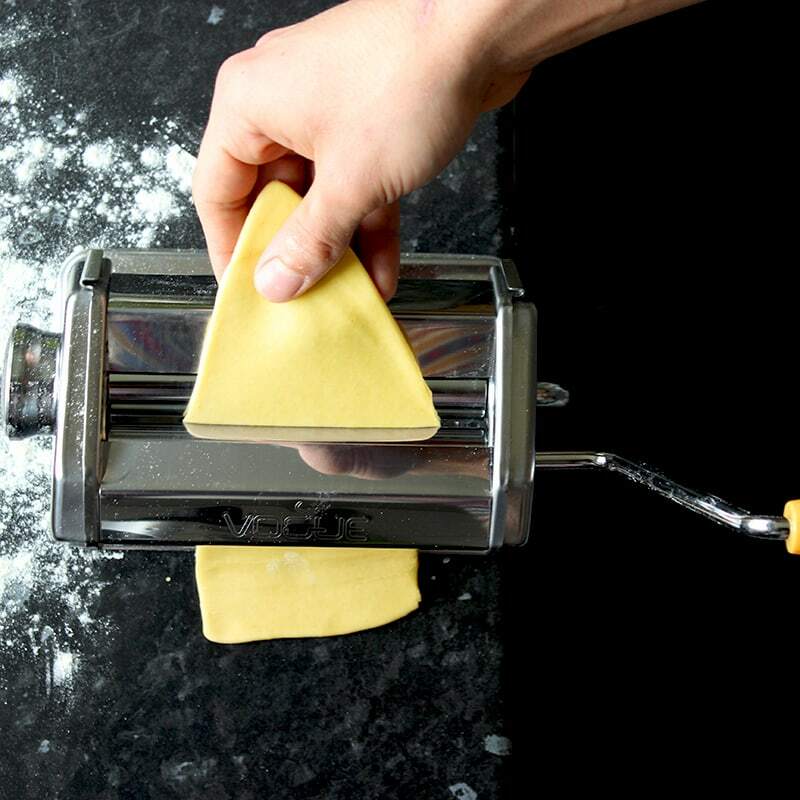 If using the pasta machine, flour the work surface and the rollers. Flatten the dough into a rectangle and set the rollers into the widest setting. Roll the pasta through them, then narrow the rollers setting by one notch and repeat the process. Flour the dough again if needed, and repeat the rolling process until you have used the narrowest setting or until the pasta sheet is as thin as the recipe required. 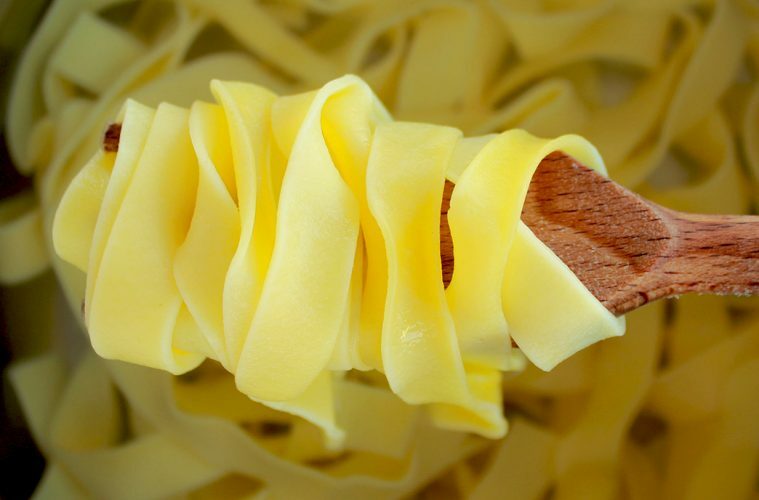 For tagliatelle, stop to setting number 6. 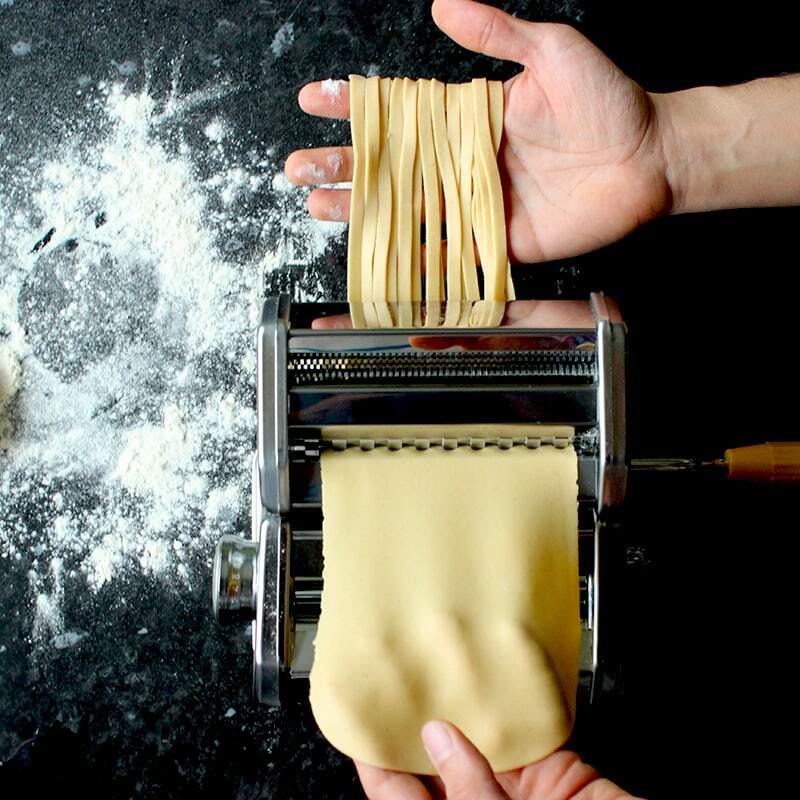 Once you have rolled your dough, it’s time to decide what kind of shape you want to give to your pasta! For lasagna just cut the dough into rectangular sheets, for ravioli make small squares, and for tagliatelle wrap the pasta sheet into a roll and with a sharp knife, cut the roll into 1/2 inch slices. If you have a pasta maker, simply add the attachment to the machine and it will do the work for you. 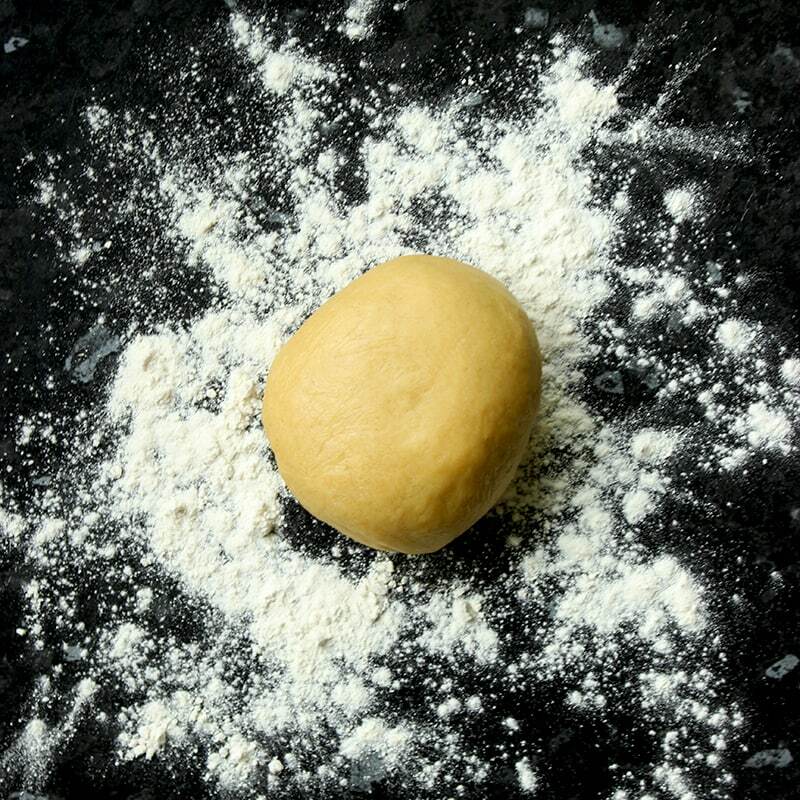 Lay your pasta on a flour-dusted work surface until ready to use it, or drop directly into a pot of salted boiling water and allow to cook for 3-4 mins. Choose your favorite sauce, or go for a super easy pasta with butter, sage and Parmesan, simple but utterly delicious. If you’re looking for other yummy sauce, try this classic pesto, it pairs wonderfully with fresh pasta! I am a regular member of this site, I always notice that your blog posts are so unique and well explained with deep information. Tnx for the splendid post. I must share your post on my social medias and “my website” for giving you maximum coverage of visitor of the post.